A careful assessment is needed of how any future “border poll” in Northern Ireland would best be carried out. That is the core recommendation of a new report published today by the Constitution Unit. The prospect of a poll in Northern Ireland about Irish unification, provided for in the Good Friday Agreement and often termed a “border poll”, is now widely discussed. But the provisions and wider implications of the law and the Agreement – extending to both parts of the island – are little explored. 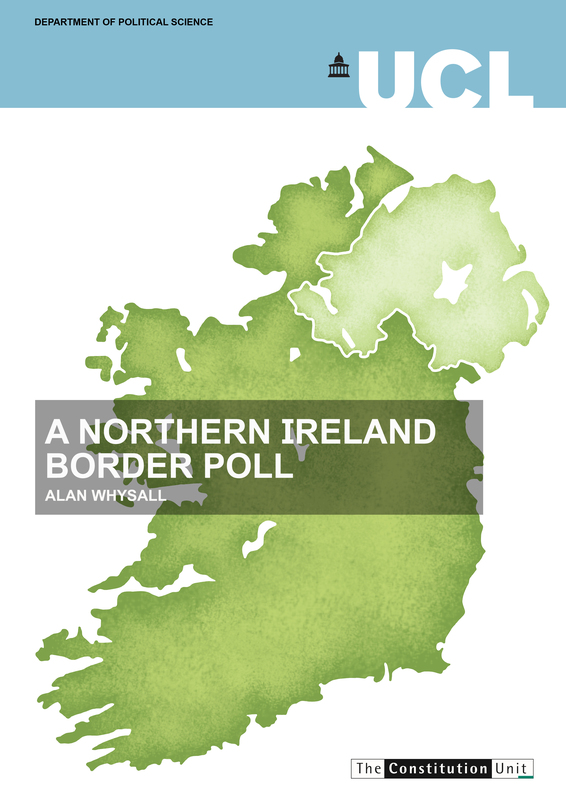 The report – written by Unit Honorary Senior Research Associate and former civil servant Alan Whysall – outlines the current state of opinion on a border poll, and the provision in law and the Agreement. It is the fullest and most comprehensive analysis of the issues to date. There is scant evidence at present of a majority for a united Ireland, but if the political situation becomes still more fractured, it could arise, perhaps quickly. The provision in law and the Agreement is stark and minimal. There are hence serious gaps and ambiguities in the process to be followed. The report argues that it is important that the issues are considered and as far as possible resolved before the machinery is invoked. A move to Irish unity could be shaped in accordance with the principles embodied in the Agreement seeking consensus and respecting identity, but the way in which this is done needs reflection, and careful stewardship by the British and Irish governments. The Constitution Unit is planning a project to address these questions, with partners from both Northern Ireland and the Republic. The purpose of this report is to set out the key issues, and stimulate discussion.